Between texting, calling, emailing, Facebooking, and tweeting there are at least half a dozen ways to get ahold of someone. Organizing all that info is pretty tedious, but Brewster will do all that legwork for you. This personalized rolodex app pulls all of your contacts from all the places where you've connected with those people (social media, email, phone number) and merges them together. After it works its algorithmic magic, you'll have consolidated pages for each person that includes every possible way you could reach them. Brewster is like having an assistant that culls through all of your online accounts as well as your iPhone contacts and makes you customized pages with all their info, so in one spot you have their Twitter handle, Facebook profile, LinkedIn page, phone number, and email address. 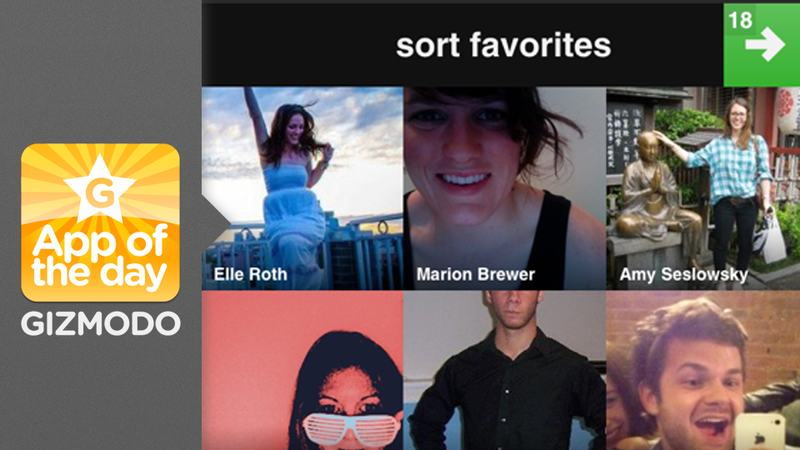 Select favorites for the people you talk to the most. Make smart lists consisting just of family or coworkers for example. You'll also get alerts when someone has a birthday or when it's found someone you have a lot of mutual connections with.